UK defense contractor AmSafe Bridport won a contract to increase the cargo-lifting capabilities for France's military transport helicopters. UK defense contractor AmSafe Bridport has been awarded a contract with France to increase the cargo-lifting capabilities for that country’s fleet of military transport helicopters. According to Defense News, the equipment supplied as part of the €12.5 million (US $17.1 million) deal will boost the ability of French helicopters — including the NH90, Puma, Super Puma, Cougar and Caracal — to deliver underslung and internally carried loads to ground troops. 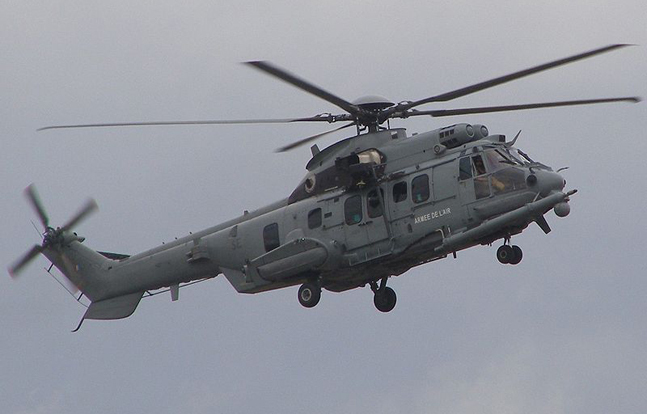 All French helicopters will be fitted with the new system beginning in 2016. In a statement, AmSafe said they would deliver 256 sets of equipment as part of a seven-year deal which includes their highly-touted QuickDrop remote-controlled pendant and hook system, which eliminates the need for a ground crew when delivering loads by helicopter. “QuickDrop, a key deliverable of the contract, was also selected by the German Army in 2009 for operations with their fleet of NH90 Tactical Transport Helicopters and is being evaluated by a number of other NATO nations,” said Amsafe’s air business development manager Mark Hennessy.